Consumption handful of almonds a day can increase the levels of vitamin E, an antioxidant important for healthy skin, it also moisturizes dry skin. It also protects the skin from aging, inflammation, and even skin cancer. Three cups of green tea a day can contribute enough antioxidants to your body, so as to fight premature aging and inflammation. The risk of skin cancer will also be substantially reduced. " Rich in vitamins A, C, and K. Vitamin A can reduce oil production, vitamin C is a powerful antioxidant, and vitamin K can help prevent bruises on the skin. So eat this wonderfood. For example, salmon and cod are rich in omega-3 fatty acids. It is important diasup because our bodies can not produce it. These fatty acids will nourish the skin, moisturize and prevent irritation, it can even improve the skin from chronic diseases such as atopic dermatitis and rosacea. The fish also contain vitamin D which is good for protecting the skin from the sun. For those who do not like fish can replace it with flaxseed, hazelnuts, walnuts. Contains omega-6 fatty acids such as linoleic acid which is important to prevent dry skin and inflamed. Also vital for the formation of prostaglandins, hormones that keep the body's cells to function properly. To get healthy skin, try salmon consumption plus broccoli, then flush with a little sunflower oil. Eggs are a source of zinc which makes it the main food for brighter skin. Had your diet insufficient efficacy of zinc, you tend to have skin that is dull and not shining. Zink also acts prevented impression oren skin and acne. Avocado fruit disenaraikan well as food for the skin enlightenment. 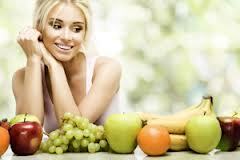 High fat content in the fruit makes the skin moist when vitamins as anti-inflammatory. Add avocado in a salad or hiris lime-juice to your sandwish. Strawberry is rich in anti-oxidants and help repair skin cell membranes. Had you have acne skin, sunburn and redness impression, do not forget to enter the strawberries in your diet. Maybe after this you will be a fan of strawberry shortcake? Spinach - vegetables that may make you vomit when you were little, but also can make Popeye becomes very strong - is a vegetable that is loaded with antioxidants and also contain substances that can fight cancer such as sulforaphane, beta carotene, vitamin C and fiber. Spinach has also been investigated by Australian scientists, can improve your memory. Other vegetables rich in antioxidants are brocoli. Brocoli belong to the family of plants that is very helpful in fighting body toxins and cancer. To maintain essential enzymes in broccoli, some nutrition experts recommend eating broccoli in a state still fresh (raw) or at least cooked by steaming. Brocoli is also a type of plant that is rich in calcium, which is needed calcium to prevent osteoporosis and helps the absorption of vitamin D.